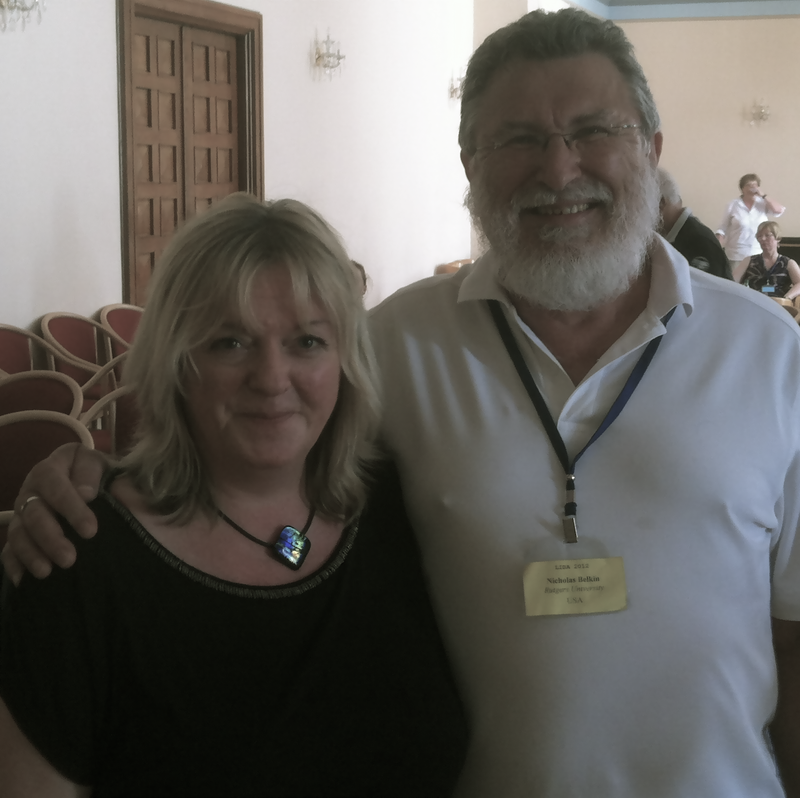 I was very happy to be invited to talk about the British origins of information science at a celebration of the 75th anniversary of ASIST last week – especially as it meant nipping over to Croatia and spending a day in the sunshine (v short stay due to other commitments alas ..). The celebration concluded this year’s very popular LIDA conference, and attracted an audience ranging from legends such as Tefco Saracevic and Nick Belkin, to bright, beautiful students at the start of their careers. The theme was Information Science in Europe, and the papers presented alongside ours were a pleasant reminder of how much interest for our subject exists internationally – I was also heartened to meet others who feel that disciplinary history is essential for understanding how we define ourselves today, and for giving any kind of intellectual basis to our speculation on our future. I am always excusing myself for caring about the past and it was good to perform for fellow history fans – although not all the presentations took the storytelling angle – German and Nordic colleagues presented a history through scientometrics, detailing counts of institutions, courses and papers in every which way. Colleagues talking about the origins of information science in Italy and Croatia offered new names and insights that I was previously unaware of; always good to get new material. The origins of information science in Britain is a story which has already been written about, in depth, and with an eloquence which comes with a lifetime of involvement – authors such as W Boyd Rayward, Michael Buckland, Jack Meadows and indeed my co-author David Bawden all stacked up across my desk as we attempted to add something meaningful, representative of our current day interpretation and understanding of our discipline. The story of information science in Britain is intertwined with the development of the subject in the US, as well as in Europe, and most accounts agree that although the 1950s provided the right societal, technological and economical environment for the new subject, the issues surrounding the processes of information organization and retrieval were hardly new. Those championing information organisation and access have always endured an impossible torrent of new materials, and the cry of “too much information” can be traced back to biblical times. As the 1950s heralded a new, post-war, industrial optimism, the accompanying flood of scientific publications brought attention back to the need to harness new knowledge in a way which facilitated its use; a way which promoted the prosperity presumed to arise from exploitation of information and intelligence. This movement centred on information within documents, reports and papers, as a crude division from librarianship and/or library science, which concerned itself primarily with whole “books” and the services associated with organising, storing, preserving and lending specific items. This rather coarse difference between librarianship and information science, in terms of the level of indexing they dealt with, was certainly still evident in the mid-1980s, and is used to argue in favour of separate library and information science disciplines. However, a closer look at work undertaken at the turn of the nineteenth century reveals that our contemporary understanding of a document and the processes of the information communication chain, i.e. the idea that library science and information science are part of a single disciplinary spectrum, are Victorian in origin – although the main protagonists of these insights, (Otlet and la Fountain in 1895), used the term “documentation” rather than library or information science. Information science as we understand it today is pretty much agreed internationally to have its origins in the Belgian/European documentation movement. The role of special libraries – well documented and represented in both the UK and US schools – is also acknowledged, but the relationship between the two movements, and their separate influences remains largely uncharted territory, (a question posed by Michael Buckland in 1998) and it may stay that way if, as seems to be the case, no particular records exist as to how the two movements came together. It is important to note that ‘history’ is just what we make out from memory or surviving records. If it was never recorded, we may never know. The point at which documentation and/or special librarianship became “information science” is still open to consideration, and will be the focus of our next paper. The question of the extent to which the UK origins of information science differ from those of the US was also something we though worth highlighting – a brief glance at the contents of any US text or information science course content will reveal a much heavier computer science bias – and whilst it is easy to dismiss US information science as UK computer science, the overlap is more complex and it would be of interest to explore this in historical context in order to understand more completely how the discipline is regarded in different geographical locations. For anyone who cares, we do not consider information science to be part of computer science, although the disciplines undoubtedly have areas of overlap, especially, as is already well known, within the area of information retrieval. In addition to the variance in emphasis on technology, our US colleagues did not focus so much on the intellectual tools associated with the documentation movement – although in the UK the information retrieval, or systems paradigm certainly had its day in the history of what is information science. Nick Belkin reminded me of all the names I had not mentioned (enough!) during my 30 minute romp through our underpinnings – those names associated with classification (Ranganathan, Mills, Foskett), information retrieval (Spark-Jones, Robertson) and user behaviour (Wilson) – all subjects traditionally regarded as comprising the core of information science. Quite so– but constrained by time I attempted to focus on the origins of our endeavours, which (although Belgian rather than British), still describe with startling prescience, our 21st century mandate, and of necessity, left out much of the middle. Several colleagues at the ASIST 75 event raised their own questions, and we were collectively convinced that a publication drawing together the national origins, similarities and points of departure for information science would make a good read – let’s hope it happens. For now, with respect to the origins of information science then, there is always more to add to the story.